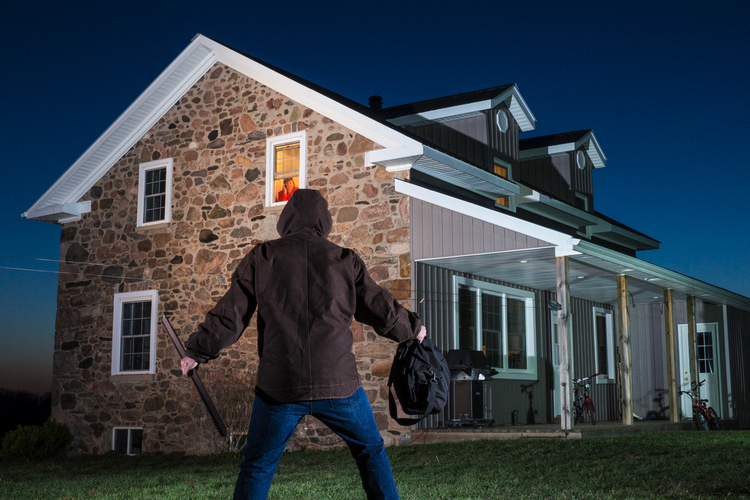 During a home invasion, your property is not the only thing at risk. Your family’s physical well-being, and maybe even your lives, may also be in jeopardy. Because of this, having at least one room in your home that can provide a secure space for your family to meet and wait for help is so vital. Use these tips to properly equip your safe room. Many people confuse a safe room with a bunker. Unlike a bunker, a safe room gives your family a secure, but temporary, location to wait for law enforcement. It should be big enough to shelter your whole family inside as well as easily accessible and securable. Test different routes to your safe room by running timed drills with your family. Your safe room should use a door an intruder cannot easily break through. Instead of a hollow-core door, equip your safe room with a solid-core, exterior steel slab door. To avoid drawing the intruder’s attention to your safe room, paint the door to match others in the house. The door to your safe room is only as secure as the frame surrounding it. Instead of a standard door frame, use a door frame reinforced with steel. For the door hinges and strike plate, use screws at least three-inches long to make it nearly impossible for an intruder to kick down the door. A standard door knob lock is not secure enough for a safe room. Use a heavy-duty reinforced deadbolt with a bolt that extends at least one-inch into the reinforced steel door frame. Prevent intruders from picking the lock by making sure the deadbolt does not have an exterior keyed chamber. You may not have time to grab your cell phone in the midst of a home invasion, so keep an old cell phone in the safe room at all times, and be sure to include a charger. The phone doesn’t have to be under contract with a carrier to call 9-1-1, but it will need a signal, so check periodically to ensure it’s ready in an emergency. Keeping security cameras outside the safe room and a monitor inside allows you to see what is happening, give details to the police and know when your home is secure. A safe room is a final line of defense during a home invasion, but a monitored home security system is your first. Research shows home security systems deter break-ins from happening. If a criminal does decide to break in, an alarm will sound, notifying your family to get to your safe room while dispatchers at one of our 24/7 staffed monitoring center contact the authorities. For your free home security consultation, contact Scott Alarm today.